L'Oreal Paris Revitalift Night Cream is enriched with Nanosomes ™ of Pro-Retinol A forte and Fibre-Elastyl that reduces the appearance of wrinkles and makes the skin feel firmer.With age, your skin's natural nightly cell renewal process becomes less efficient and skin's support tissues weaken, wrinkles increase and skin loses its firmness. 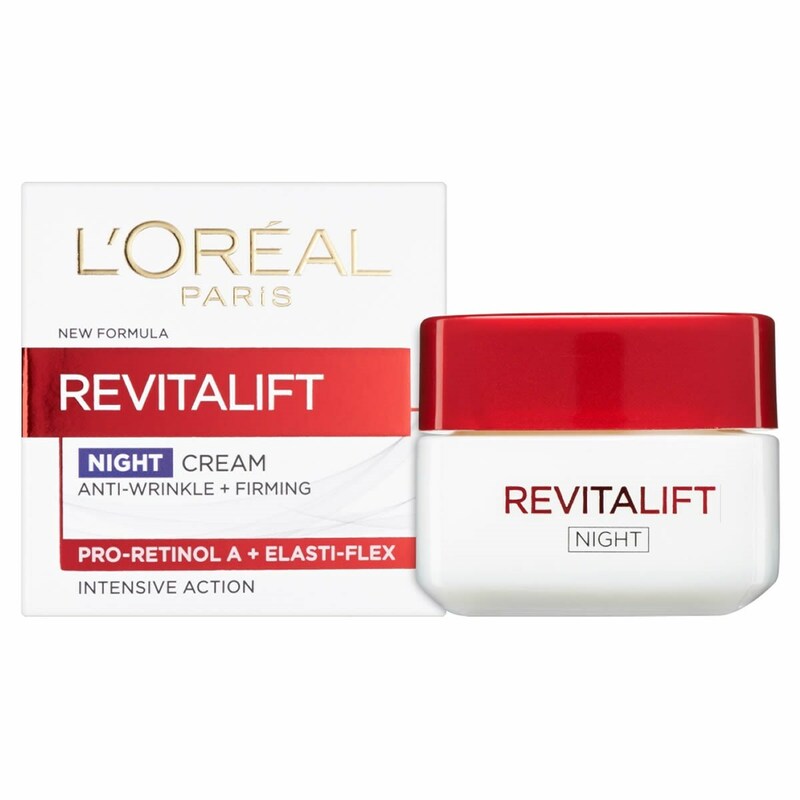 L'Oreal Paris Revitalift Night Cream ultra-rich texture is quickly absorbed, leaving skin feeling supple and comfortable and as results in the morning your features appear rested and your complexion looks fresher. Your skin feels firmer and the appearance of wrinkles is reduced. The ultra-rich texture of Revitalift Night is quickly absorbed, leaving skin feeling supple and comfortable. Use Revitalift Night every night on thoroughly cleansed skin. Avoid contact with the eyes.After application, for a relaxing feeling, apply pressure to the skin using your fingertips.Start at the temples, move to the bridge of the nose and finish with the neck. Thank you for your interest in L'Oreal Paris Revitalift Night Cream. Enter your email and we'll contact you as soon as it's available again.